Travel season is in full swing and we are all so mobile. Road trips are the best and packing up your family makes for great memories. There’s nothing like a road trip as a family to stir up nostalgia of our childhood memories. However, road trips now are with our kids, rather than our parents or a mix of both! It’s exhilarating getting into the car at the crack of dawn and thinking about our vacation destination. However, about 2 hours in and a lot of things change. 3 more hours in the car and well there are other need and asks. These reasons all attribute to we stop at convenience stores on family road trips. Of course, there is always wonder of what is happening in other cars as well. Do you wonder what goes in on their car or road trip too? You are not the only one. We are curious people! Convenience store stops are about convenience and they afford us a well-earned opportunity to just stop along the way. Lavishly live travel out loud and learn more about why we stop at convenience stores on family road trips and see if your family is the same! Today’s post is sponsored post based on my love of travel and use of Convenience Stores. Images and thoughts are my own. 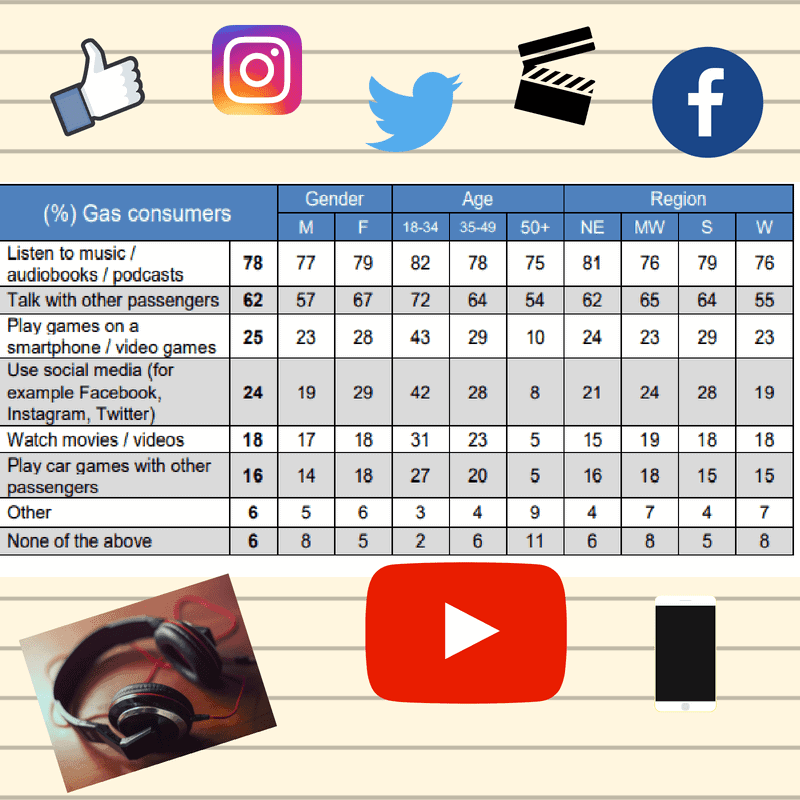 Statistics are provided by the 2018 NACS Summer Drive Survey. Like I said, the first 2 hours are all driving adrenaline and glory and oh so fun. Most of the time the teens sleep and I am happy on the road because early is so much better without traffic. Then it happens, the first round of driving is complete and suddenly, according to the 2018 NACS Summer Drive Survey, we fall into the category of what 96% of what others are in. Remember, another part of travel is comfort. While travel is truly a beast, comfort in a vehicle matters! Always make sure you have plenty of seating for every member of your family, that alleviates fighting. Vehicles are truly the most important part of road trips. Long before the need to stop at a convenience store, there is a requirement of a vehicle to get there right? So when you are looking for an affordable vehicle that offers a lot of built-in amenities, my suggestion is, of course, a Hyundai. Your local Hyundai dealership has a lot to offer. Stop by your local Hyundai dealer to test drive a few different family cars. My first suggestion for families wanting their first SUV is the Hyundai Tucson. Seating is apportioned well and there is nice cargo room. My favorite Hyundai for numerous reasons is the spacious and affordable family-friendly Santa Fe. You will visit convenience stores along the way but not as often as you might in great big SUV’s. In fact, the Santa Fe boasts 23 MPG on the highway. So get ready to enjoy the reasons we stop at convenience stores and drive your Hyundai on a road trip and visit one yourself! Want a tip? Many of the convenience stores offer their reusable coffee cups for a nominal fee. I mean even if you just stop at the same convenience store brand on that trip the cup often pays off. That is what you see me doing here. I bought the cup, got a fill free and discounted fills thereafter. Coffee is my driving friend and I love a great deal! Check your favorite convenience store out and see if they offer the same, I bet they do! According to the 2018 NACS SUmmer Drive Survey “, 96% of us stop to use the bathroom! 🚻That’s right, the short and simple is to use the bathroom! So this is stop number one on a road trip, but there’s a lot more. My first stop is always about the coffee. I go as far as I can without that cup of coffee and then I have to stop. I am in need of a stretch, and of course we fall into the number 96% of people stop at convenience stores, the restrooms. Now, we all also pray that they don’t smell awful and that we can find toilet paper, right? lol! Generally, this is also a healthy snack time for me too. So I love that the options are so updated in the Convenience stores. For instance, in this particular stop, I grabbed myself a banana, a flavored water, and a coffee, so I can roll on for about 3 more hours. Of course, witching hour will begin again. Driving onward after a refreshing stretch is the next logical progression right? That’s what most of us do, we carry on to our destination and as we drive we see other cars and RV’s on the highway. Do you ever wonder what is going on in other vehicles as you drive? When I drive, I think of those we travel alongside and behind as a ‘pack’. We go the same speed, travel in a group of at least 4, and while none of us know each other we keep pace and stay together. It is an unspoken code at least that is what I believe? Do you do the same? What I have learned after studying the 2018 NACS Summer Drive Survey is that most family road trips average 12+ hours (32%) in fact. Additionally, the way we pass the time in our cars is even more interesting. For some, it is social media, others movies, and yet others listening to podcasts. It’s now time for the 2nd stop of the day, are you ready? It’s time to use the restrooms and eat. For us, this is the best stop. It’s about 5 hours into the trip and we are starved. I quit packing stuff on the road other than light snacks years ago. Why clutter the car up with coolers when families need space? 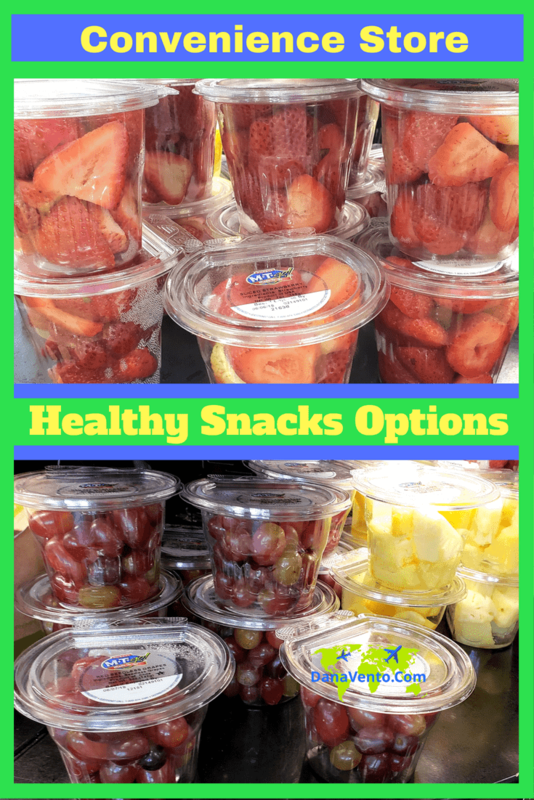 Rather, fresh is best and convenience stores are brimming with healthy choices and some of the kids favorite fast bites! Let’s take a look! You might recall I am a healthy lifestyle kind of eater. It’s not a phase, it’s a lifestyle. Here are just some of the yummilicious finds that I indulge in our food stop! 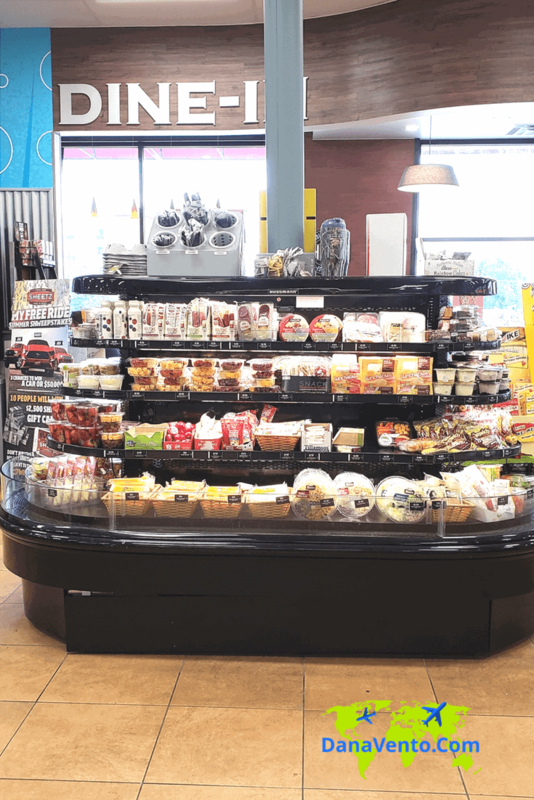 You will find these great center hubs and refrigerated sections in most convenience stores, truly they the trend. Really there are so many choices, when you look at this stand you can not help but drool. The greatest part of this is the fact it is like you are walking into your home refrigerator. Having multiple choices makes it easy when there are multiple people with you. There’s no doubt you will find something for everyone. Want to see more? I love the fruit cups. Last year when I traveled to a food show, I learned that most fruit cups that are available in the Convenience Stores now are in cup-holder friendly containers. This truly makes a difference in how I shove my face while driving. More simply put, I do not have to balance my fruit between my legs and worry about the steering wheel or a cup flying. Plus, as a healthy-lifestyle kind of gal, fruit is my friend! So glad to see this option in convenience stores everywhere! Every family has the ‘naysayer’ to eating fresh fruit so let them eat fresh sandwiches. 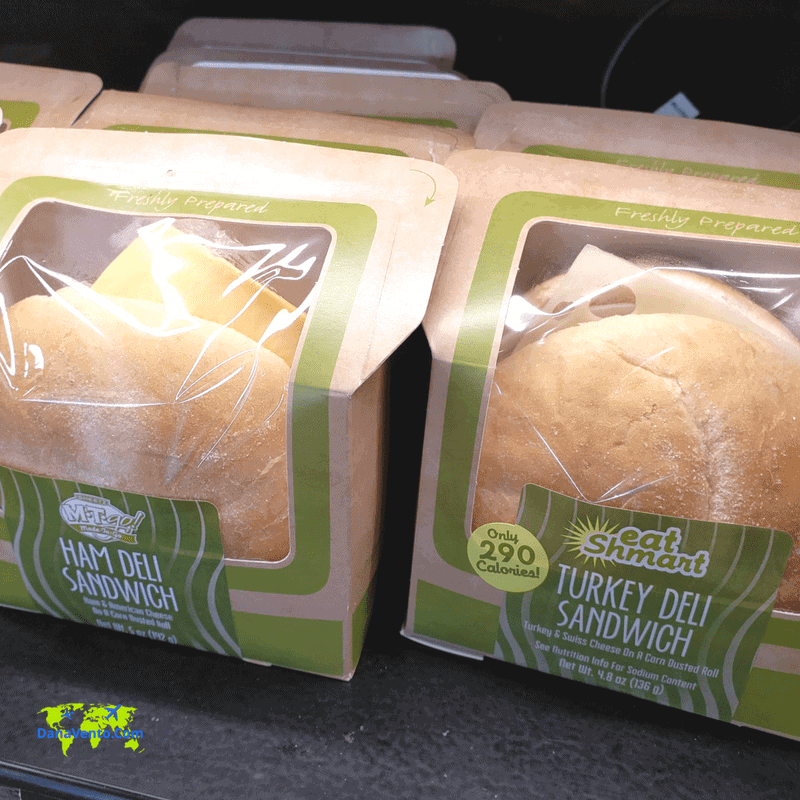 These ‘grab and go’ sandwiches are also healthier alternatives to that fried junk that they often ask for. Buy them a bag of chips (also in the convenience stores) to stop the clammering about fries! You got this, family travel is about memories, travel, and food, and it’s fun! Have you tried this made to order touchscreens available in so many different convenience stores? If you have not, you definitely must. When your family cannot agree on one of the healthy alternatives, offer another. See you are still in control, lol. 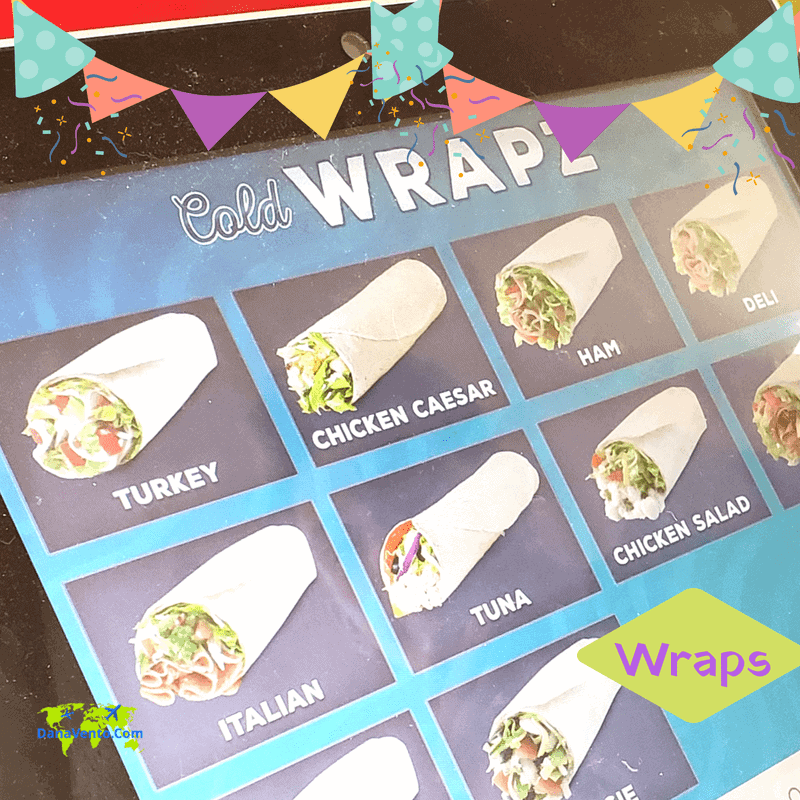 The touchscreen ordering lets them grab the sandwiches they want or wraps and still keep on the lighter side of foods and healthier! Love this! Why ice cream when you can get parfaits? Parfaits often have fruit and granola. Want to satisfy both the need to crunch and the taste of something sweet? Here’s your answer in a very portable cup that again fits in cup holders. Definitely a plus when traveling. Fast, easy and convenient, find it in your local convenience store. Trending in our world are lean and healthy proteins. Cheese and meat are great travel snacks because they are easy to eat and better no the waistline. I love seeing these as options don’t you? Thank you for pointing out that convenience stores can be a great restroom stop. My husband and I are wanting to find a great convenience store in our area. I’ll have to look into finding the cleanest, friendliest one possible. Going to restroom is my first reason to stop at any convenience store or gas station. When the natures call, you got to answer it. P/s : I prefer coffee than tea. I never knew about those things. We usually miss such good to know information. Thank you for sharing. I like your reasons! During roadtrips, we pass these many local stores and its good to buy from them, you support their economy. I agree with your number 1 and number 2, although my coffee’s usually taken care of when I leave the house. My brother’s favorite reason to stop at convenience stores is to stock up on red bull and pork rinds…yuck. Oh my goodness, I had to read your brothers’ choices twice. Total YUCK agreed. I prefer a cup of berries and an electrolyte water. LOL. We love our stops at convenience stores when we are road tripping. There is something so exciting about going in and coming out with a bag full of goodies for the car ride. I want to see what is in your treat bag..
My kids find pleasure picking their own. There are a lot of great choices it is not just about the ‘fun stuff’ now. However, the kids do love slushies, and mixing their own beverages up, as well as the occasional DONUT which always seems to be SUPER fresh in all Convenience Stores. That’s just it, it’s about convenience and happiness on the road. Enjoy. I love Sheetz! I think they offer more healthy food options than many convenience stores. Plus their coffee offerings are amazing! What a wonderful post! I stop convenience stores on road trips sometimes too, I try to get the healthiest options. Thanks for sharing! OH thank you for the share. We fly a lot, but you know who is open at 3 and 4 in the morning on the way to the airport? The Convenience stores and I stop to pick up strawberry cups on the way to the airport too. When we go on a trip, we make it a point to stop by food shops to grab some either fresh snacks or chips. It is like we enjoy to munch while we go for a long drive. It is amazing how many great options there are inside the Convenience Stores for munching on road trips. Pretty much something for everyone. It’s great to stop, stretch your legs and support the local community. Unfortunately, sometimes it can be hard to find beautiful healthy looking food like you’ve found here? Do you have recommendations to find stores that stock healthy food? I think it is totally a chance you take. I look for bigger Convenience Stores, and chains, which is not hard to find. Often I have been surprised by little ones though having incredible healthy selections. Just stop and see, they are ALL different. When i was a kid I used to go on road trips with my family. This post just reminded me of my family. It is so important to stop in a convenience store during a road trip most especially if you kids. You need to stop to buy a food, drinks and to use a comfort room. 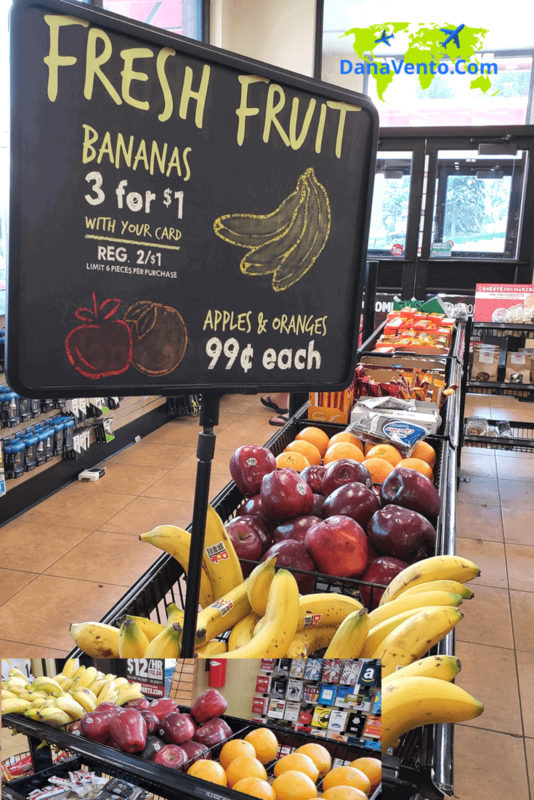 We love to stop at the convenience stores during our road trips tooo… the first thing is you have soo many options to choose from… And also you can have everything at one place than going out for dessert again. It is about everything in one place and something for everyone. Drive-throughs do not offer this! We do the same! We just returned from a road trip and stopped at these stores often of snacks and Diet Coke. (For Mommy.) It’s fun to check them out. We always stop at convenience stores for our road trips as well. I love that so many have fresh fruit and premade sandwiches now! 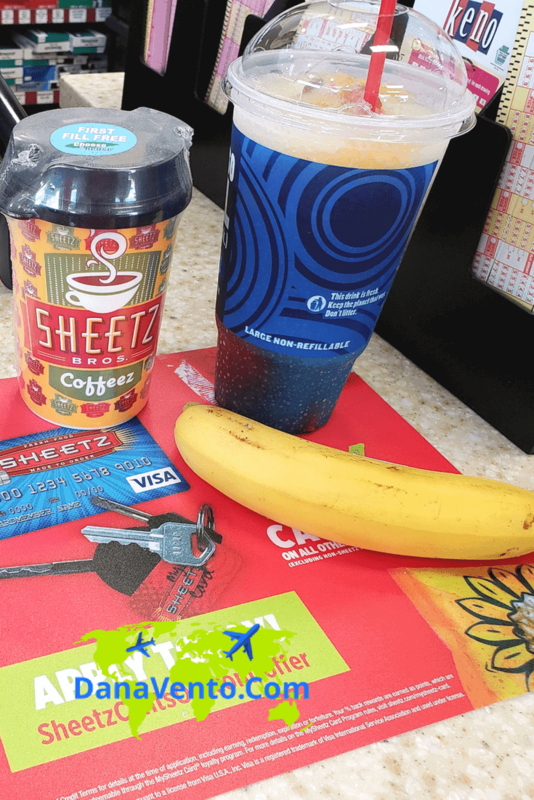 It can really up your road trip snack game! 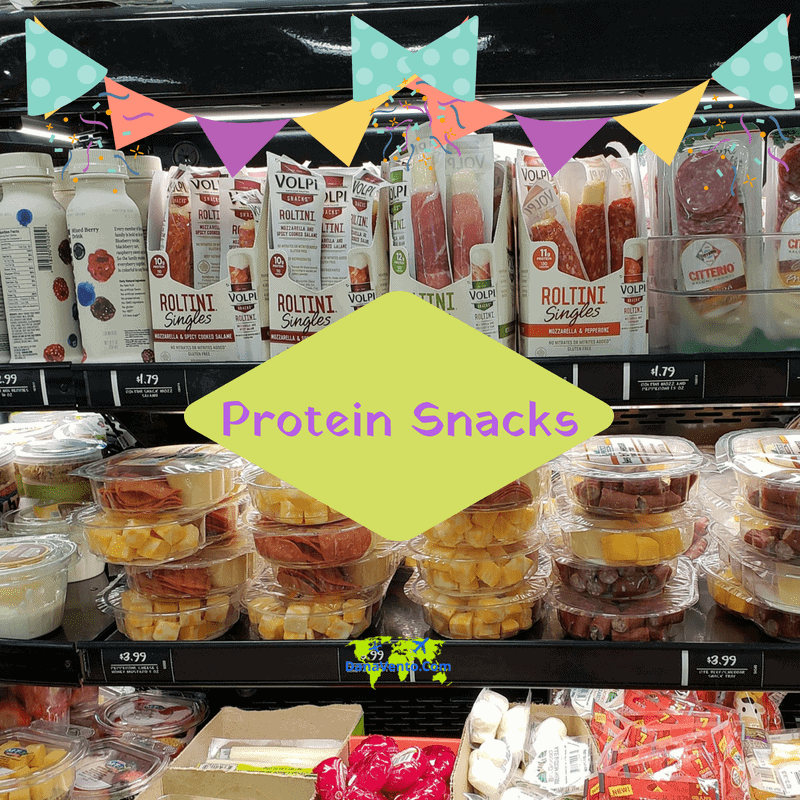 I love convenience stores because it gives me time to stretch when I’m traveling, plus, I go for the coffee and protein snacks too which give me a boost to keep going. I love your reasons for stopping.